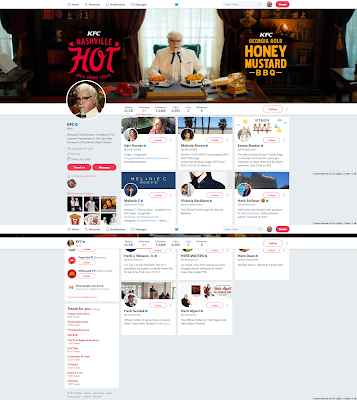 KFC has done some really incredible marketing these past couple of years, and it has truly breathed life into a brand that was floundering. Think about it - how in the world in 2017 do you make fried chicken relevant? And with a Colonel as a corporate icon? Goodness. They're the 5 Spice Girls, plus 6 other guys, all with the first name of "Herb." Altogether, they're "11 herbs and spices." Whoever hatched this idea on their social media team deserves a fat raise.